In every year, different types of safety car seats can save more than thousands of lives. If you want to go anywhere with your child you must have a car seat installed inside your car. 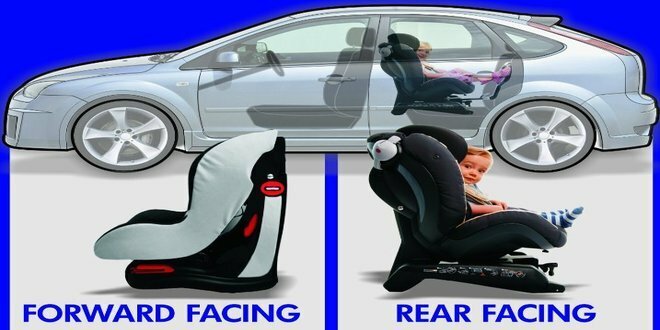 The car seats are designed to provide safety inside a car with their locking and layers of foaming. A proper knowledge about these seats is very important. …there is a question, which car seats are suitable for children? Actually, it varies on the height and weight as well as price and brand also. In the world, there are 3 types of car seats for car; these are booster, convertible and infant. An infant car seat is designed for the smallest children. They come with deep layers of foams and specialized locking mechanisms to provide the child maximum safety inside the car. They are completely different from the convertible and booster seats as they in two different parts. An infant seat has two individual parts. That is the carrier and the base. The carrier is unit what holds the baby inside. It has a five point harness and special kind of impact absorbing foams. The harness holds the baby inside and the foams provide protection in the event of a collusion or impact. The other section of best infant car seats is its base. The base can be firmly locked on the car’s seat with a locking mechanism called LATCH. Then it locks the carrier on it. Some infant seats have suspensions equipped with them what allows a whole new level of protection. There are many car seats for infants. Among them, Chicco is made for small and new born babies. These seats are manufactured for the weight range of four to thirty pounds. These types of seats can be set up on car’s stock seat and they are better to be used on the backseat of a car. The infant seats aren’t only car seats. They are more than that. As the carrier is detachable from the base it can be carried around. Say like, you want to go shopping, and don’t want to involve both hands in carrying the child what you need to do is simply unplug it from the base and you are free to carry it single handed anywhere you want. The best travel car seat can also be equipped with the supported strollers. If you want to take a walk in the park you may place it on a stroller and walk around freely. Before buying an infant seat for your child, you should remember that there are many stroller models in the market that allow infant seats on them. These are pretty much everything to buy a baby car seat for your child. An infant seat can accompany the child for its first two years of life or the child reaches the weight of 35-40 lbs depending on the model. Then you should move to a convertible car seat. Among all the best car seats for infants the convertible car seats come at the second stage. They are called convertible car seats because this type of car seat is capable of providing both rear and forward facing sitting positions. You just have to change its structure to convert the sitting position. Convertible seats aren’t like the infant seats and way more different from the boosters. There are many best car seats for small cars in the market. Almost all of them have special features that draw the line of difference from other seats. These seats have the options of rear & forward facing. These seats are well designed for great safety & comfort for your children in a vehicle. The convertible seats can be easily adjustable according to your needs. As the seat can be used both in rear and forward facing positions it accompanies the child for the longest period of time. This is one of the reasons that make the convertible seats costlier than others. A child can use a convertible car seat from two to six years. Up to four years it is highly recommended to use the seat in rear facing position. Then it will ultimately outgrow the rear facing position and will be ready for the forward facing. These seats are capable of holding babies from 20 to 40 lbs depending on the model. Although maximum convertible safety seats start from 20-22 lbs, it should only be bough after your child completely outgrows an infant seat. Your child should be in this weight to fit inside a convertible seat. These types of seats are really good looking and perhaps has the best look among all the types. They go really well with modern cars. As they are a bridge between the infant and booster seats they share some attributes of both the seats. At last let us remind you one thing that, carrying a child of four to six in a car without a safety seat is really dangerous. Booster seats are final stage of providing safety to a child inside a car. They are really simple actually. A booster seat raises the child to match the restraining of a seat belt. They come in different models also. 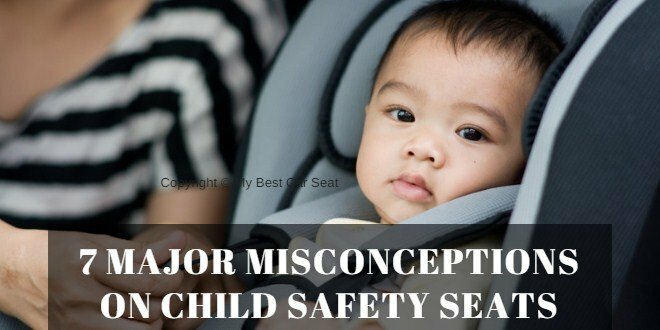 Booster seats do not provide that much safety like the infant or convertible seat does. But its absence can create a kind of unsafe environment for the child. Only relying on seat belt is not enough for a toddler as they can’t be firmly fitted inside one. That’s when you will be needing a booster seat. Also there are some other belts on the lap and diagonal belt present in the booster seats to provide some extra protection. Booster seats are efficient for toddlers. There are lots of best booster seats available in market. The booster seats can easily be adjustable according to your requirements. It can easily carry children up to 120 pounds. Not using a booster seat is a mistake that the parents constantly make. Without a booster seat a child of 4 to 10 years can never be properly placed on a car seat. This loose setup is really deadly as the child gets thrown away form the seat when the car hits something in front or something hits the car from the back. For this booster seats are the saviors. They have the capability of holding the child in right place and it moves very little during a car crash. Booster seat always ensures you a nice and safe journey. It performs a good service in the crush period. Before purchasing a booster seat, you must look at the lap belt. It is a factor for choosing an efficient booster seat for your child. The terms, forward facing and rear facing have constantly been mentioned in the article. Do you have a clear idea about them? Most of the infant seats in these days are rear facing. They are built in that way for a reason. This sitting position is way safer than forward facing sitting positions. In a rear facing seat if the baby is in the back seat of a car it would be facing the back seat and not the front one. The back part of the seat would be supported on the front seat and the child will remain inside it. Frontal crashes are the most common in all the car crash types. On an event of a frontal car crash the impact force gets equally distributed on a wider area of the child’s body. Mostly the whole back takes the force. This way the impact doesn’t do much harm to the neck and the shoulder which are the two most sensitive areas of a child. You may not be able to see your child’s face while you’re driving if it’s in a rear facing sitting position. But you’ll at least know that the child is safe inside. What we’ve told you are factually true as they have been proven in many experiments dealing with car crash and child safety. The rear facing options are available only in infant seats and convertible seats. Especially in convertible seats you should keep in mind that there’s no hurry to move into the forward facing section. Keeping the child in the rear facing section for a longer time would always be a good idea in terms of safety. You’ll face a lot of troubles in keeping your child inside a rear facing seat. Among them, your child will seem too big, its legs will appear too long, the child may feel uncomfortable, or your car will have a little space. You have to overcome these problems step by step and some of these problems aren’t problems at all. What so ever it is, rear facing seats are the best when it comes to child safety seats. That’s why on everywhere you’ll find the request of keeping your child inside a rear facing safety seat for as long as possible. In this case, try keeping the child inside a rear facing seat for at least first four years of its life. In a forward facing child safety seat the child faces forward and towards the front seat. The child would be kept inside with the same manner but the level of safety would be completely different. This position is basically for the toddlers. The rear facing seats have their limitations of height. It can’t be used for children above four. After four you can’t put your child inside a rear facing seat. Remember, booster seats are completely different from the other types as they are heavier, not portable and doesn’t have too much safety features. Even after that booster seats are very much important. Finally, the perfect car seat doesn’t mean that it’s a costly one. The ultimate goal of an infant or booster car seat is to protect the child from accidents. Keeping that in mind, your car seat should provide maximum safety. Compromising safety for comfort of your child, you or your car would be a very bad idea. The price of these seats may seem a bit higher. But if you can spend thousand dollars every year for diapers, it’s nothing comparing to that. 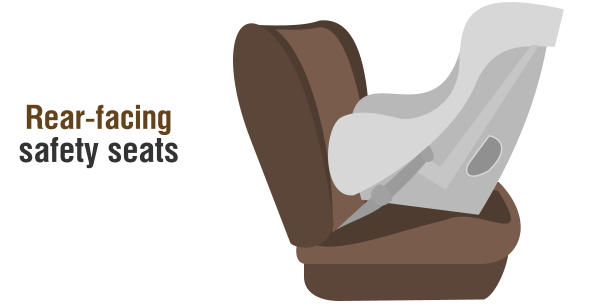 Now you know almost everything about buying the best car seat for your baby or toddler. Please do share this knowledge with your friends and family as knowledge like these can save innocent lives of little angels. For more directions and reviews like this I’m always here for you. Feel free to roam around our website for information like these. 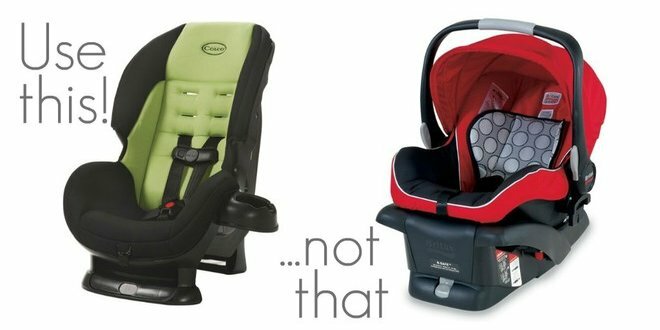 Infant Car Seat vs Convertible Car Seat – Which one is better?